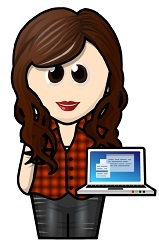 Eve has a new home, a new face, and a new name-but no memories of her past. She's been told that she's in a witness protection program. That she escaped a dangerous magic-wielding serial killer who still hunts her. The only thing she knows for sure is that there is something horrifying in her memories the people hiding her want to access-and there is nothing they won't say-or do-to her to get her to remember. At night she dreams of a tattered carnival tent and buttons being sewn into her skin. But during the day, she shelves books at the local library, trying to not let anyone know that she can do things-things like change the color of her eyes or walk through walls. When she does use her strange powers, she blacks out and is drawn into terrifying visions, returning to find that days or weeks have passed-and she's lost all short-term memories. Eve must find out who and what she really is before the killer finds her-but the truth may be more dangerous than anyone could have ever imagined. I received this book from Bloomsbury Australia last week and didn't know anything about it. After reading the blurb, I was intrigued. Not to mention that the cover is super freaky. The heart with all those pins reminds me of Pinhead from Hellraiser. Or a pin cushion. Even a voodoo doll. After reading the book, the image makes a lot of sense. Eve has a hard time remembering things. Her mind is empty and she has no memory of her past. She also doesn't recognise herself in the mirror. Everything around her is foreign and new, just like her reflection. So when she moves into a strange house with one of the Para-WitSec agents, she doesn't know what to expect. Aunt Nicki doesn't sugarcoat things and barely seems to tolerate her, but Malcolm is the understanding agent who seems to care enough about her to explain things. Even if he has to do it a thousand times because she keeps forgetting. Eve also loses time. She has magic inside her, and every time she uses it, she passes out. She relives pieces of her fragmented memories, but when she wakes up, she forgets about her waking life. As hard as it is to pass out and lose hours, days, and sometimes weeks, Eve gets on with her controlled life by taking a summer job at the local library. The library director might not like her, but Eve loves being around books, and when she meets Zach--the friendly boy who doesn't lie, talks too much, and isn't afraid to say what he really wants--she looks forward to going to work. After sharing her magic with him during their first kiss, she knows they've got an unbreakable connection. But the agency keeps tabs on her no matter where she is, and Aidan, Victoria, and Topher might be like her in the magical sense, but they're dangerous and have an agenda of their own. Everyone wants her to remember. It's important, because there's a killer out there who has killed many kids from other worlds, and wants to find her. Plus he's killing again. The only person who can lead the authorities to him is Eve, but she can't be trusted to remember anything. It's not until Eve decides to take control of her own life and her own visions, that she stumbles into the multiverse truth, and finally remembers just who and what she really is. But at what price? This book was... amazing. I have to admit that I love characters with amnesia problems. So it wasn't hard to get into this book. Eve's fractured mind makes her vulnerable, so it would be easy to get as impatient with her as the characters do, but I didn't. Not at all. Actually, my impatience and frustration was with the others. I hated how everyone seemed to be keeping secrets from her and wouldn't share any light on anything. As important as they thought it was for Eve to remember things on her own, I felt they could've shared some vital facts along the way. In the end, I loved her journey. 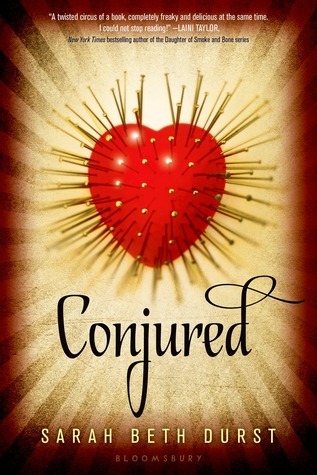 Conjured is an intriguing, imaginative, and super creepy book with a conclusion that will leave you breathless. I loved how everything unfolded. I loved Eve and Zach's connection. I enjoyed the touch of magic to this story. I even loved when everything tipped over from a familiar world and into a very dark, alien place featuring a nightmarish carnival setting. I seriously loved this book! Yeah, this story featured a lot of my favourite creepy things. It's also a great book to read during the spooky month of October!